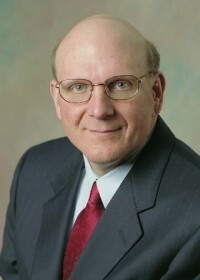 Steven Anthony Ballmer has been Microsoft Corporation's chief executive officer since early 2000. The son of a Swiss immigrant father who worked as a manager in Ford Motor Company, Steve Ballmer was born in 1956 in Detroit, Michigan. He now sits in the board of directors of the high school he graduated from in 1973, Detroit Country Day School. He later graduated in mathematics and economics from Harvard University in 1977, where he lived down the hall from fellow sophomore Bill Gates. In 1980, he dropped out from the Stanford University Graduate School of Business to join Microsoft, later succeeding Gates as C.E.O. Ballmer has managed several Microsoft divisions, including Sales and Support and Operating Systems Development. After Gates, he is Microsoft's longest-serving employee. Since early 2000, when Gates stepped down as C.E.O., Ballmer has handled the software giant's finances. Ballmer is the first U.S. employee to become a billionaire through a corporation's stock options.